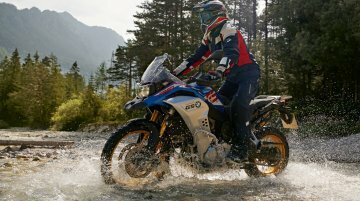 BMW Motorrad is planning to expand its middleweight tourer segment with a new product that would appeal to the buyers who aren’t too fond of the off-road-focused F 850 GS. 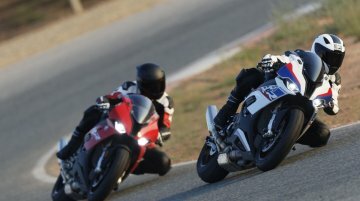 The upcoming motorcycle is y..
Honda Motorcycles and Scooters India Ltd (HMSI) is set to launch the CB300R neo sports cafe in India on 8 February 2018. 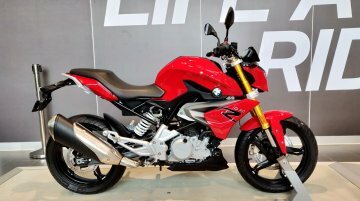 The Honda CB300R will be a CKD import and will rival the KTM 390 Duke and the B..
BMW Motorrad’s sub-500cc motorcycles, the G 310 R and G 310 GS, have made it to the top five best selling models from the German two-wheeler brand in 2018. 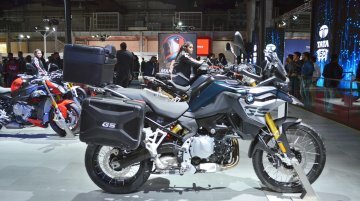 The brand's worldwide deliveries increased b..
BMW Motorrad has launched the all-new BMW R 1250 GS and the R 1250 GS Adventure in India with prices starting at INR 16,85,000 (ex-showroom India). 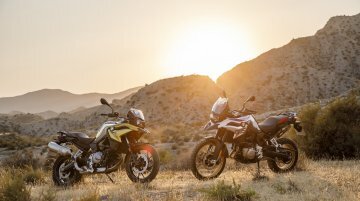 The BMW R 1250 GS and the R 1250 GS Adventure are..
BMW Motorrad has started accepting pre-bookings for the R 1250 GS in India for a token amount of INR 3 lakh. 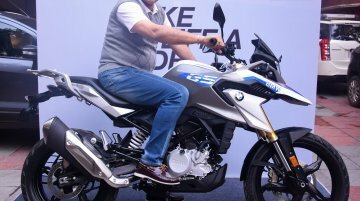 The R 1250 GS is expected to carry a premium of INR 1.5-2 lakh over the outgoing model, the..
BMW Motorrad managed to sell 1,640 units of the G 310 R and G 310 GS in India in 2018 since their launch in July the same year. 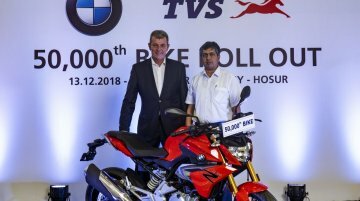 That is a healthy number considering the premium price at which the..
TVS Motor Company has rolled out the 50,000th unit of the BMW 310cc series motorcycle from its Hosur plant. 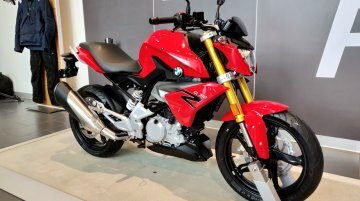 The bike, a BMW G310 R roadster was rolled out in the presence of Dr Markus Schramm, Head of.. 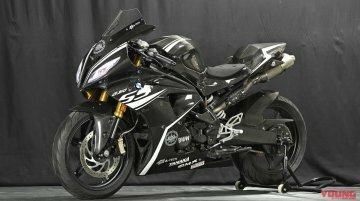 Readers would remember the BMW G310 RR Concept showcased at the BMW Motorrad Days in Japan. 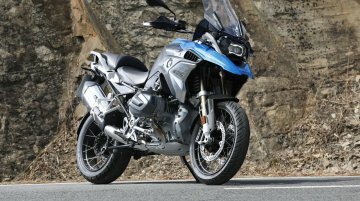 In more updates, Japanese motorcycle magazine YoungMachine now reveals a completed version of the..
BMW Motorrad, the two-wheeler division of BMW Group, has unveiled a new variant of its middleweight adventure tourer, F 850 GS. 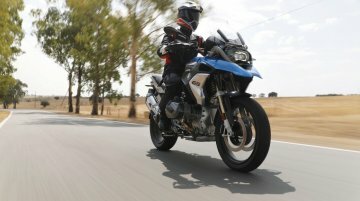 Christened as the F 850 GS Adventure, the motorcycle packs increased.. 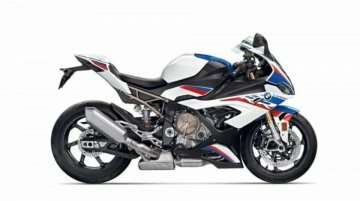 The new 2019 BMW S1000RR will debut at the 2018 EICMA motorcycle show in Milan, Italy. Most of the visual details of the upcoming German litre-class machine were revealed through leaked patents and.. 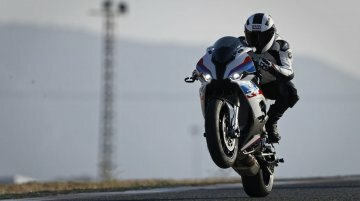 While there is no official confirmation, the new 2019 BMW S1000RR could debut very soon. 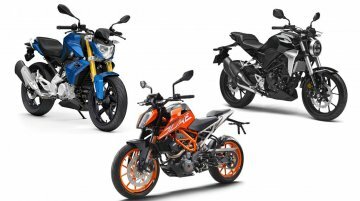 We expect to see the motorcycle at the 2018 EICMA motorcycle show in Milan, which is scheduled to take place.. 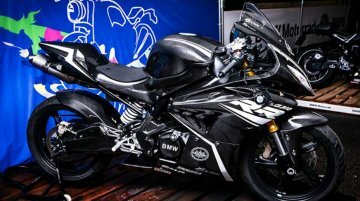 It is only a matter of time before BMW unveils a fully-faired motorcycle based on the G310 R. In fact, the German two-wheeler brand gave a glimpse of what to expect from the RR badge version through a.. 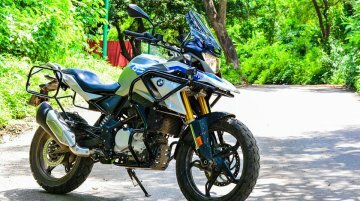 Specialists in creating after-market crash bars for motorcycles, Sahyadri Moto is preparing a new kit for the BMW G310 GS. 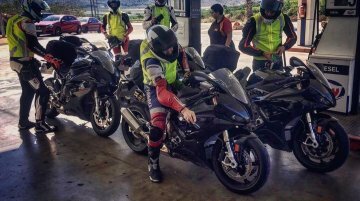 The comprehensive package includes full protection to the bodywork of the..